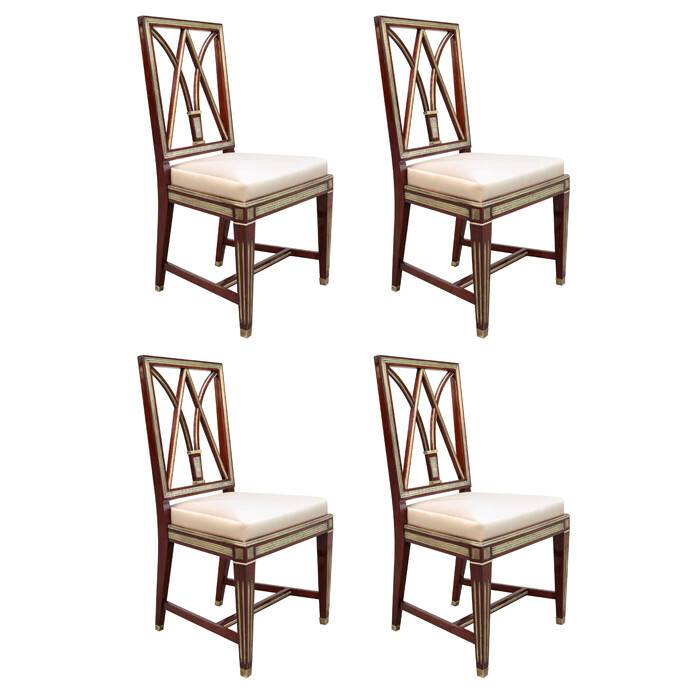 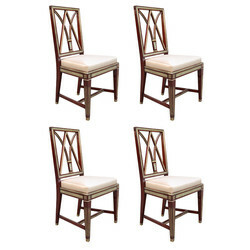 A set of four Neoclassical side chairs. Mahogany with patinated brass inlay, details and sabots. 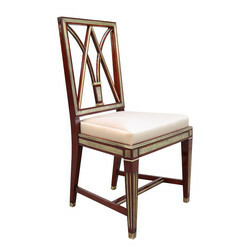 Dimensions: H:37 W:20 D:19 Seat H:18 Inches.